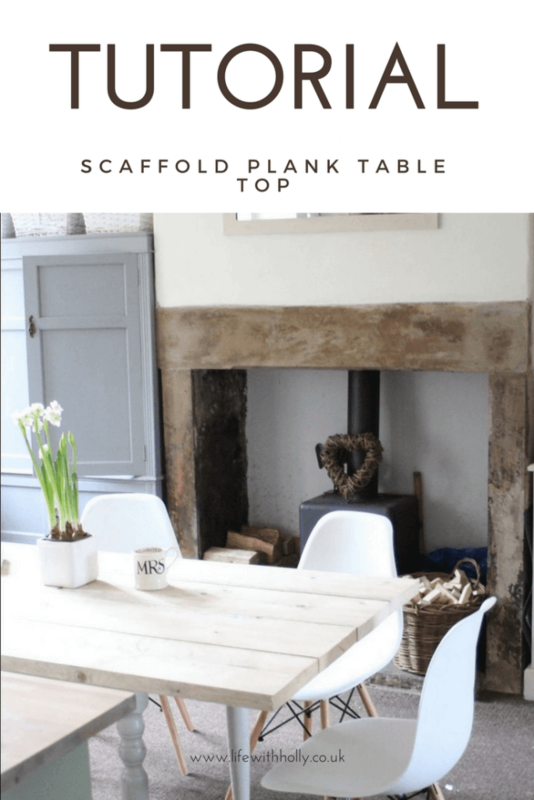 TUTORIAL – Rustic Scaffold Plank Dining Table How To! If you’re on Instagram or Pinterest you’ll have seen all these amazing rustic tables made from scaffold planks, and I thought they seemed really easy to make. I wanted to replace our old £20 charity shop find table (which had had a million coats of paint and still looked rubbish) with something a bit nicer. When I rang Mr R and said I was at our local wood yard getting some scaffold planks cut to size, I can only imagine how many times he rolled his eyes and thought “not ANOTHER project!!”. He dislikes DIY with a passion, but will begrudgingly get involved because I daren’t use the drill. 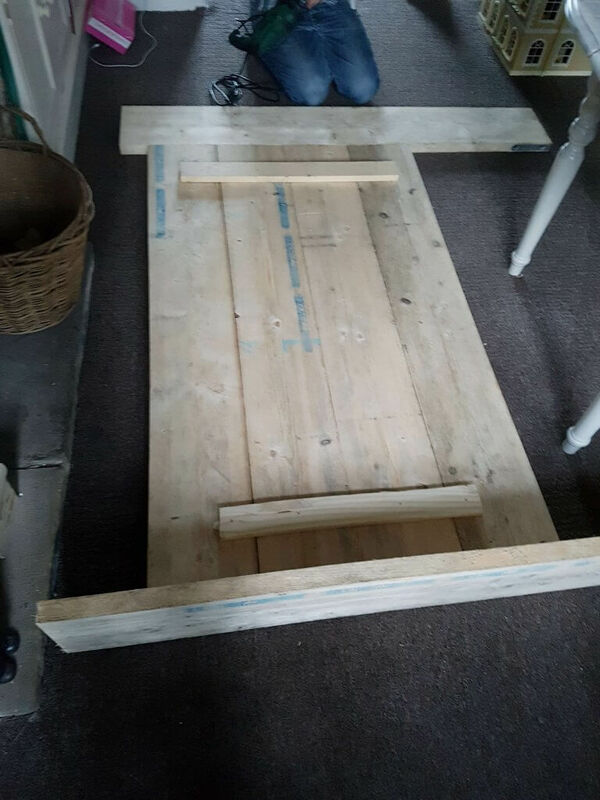 Scaffold planks come in 13ft lengths, but I only wanted a 5ft table as our space isn’t huge, so I asked the guys at our local wood yard to cut it to length for me. 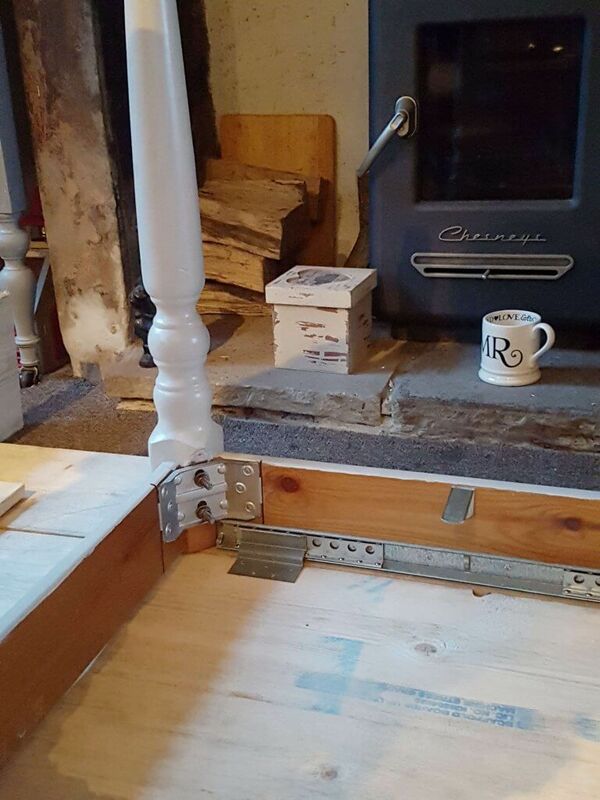 Each scaffold plank cost £17, so the whole table top cost me £34 plus a few screws. We used the legs from our old table but may look to replace them in the future. For now though, they’ll do! We’ve gone for 4 planks wide and 5ft long, and the table gives us plenty of space. It was really quick to make. It took Mr R around 2 hours all in, so he did this one night when he got home from work. Sorry for the dark and blurry photos! So… as a bit of a tutorial, here goes! Decide on the length of your table and then cut (or have a nice man cut for you) your planks to length. Using a straight edge of some kind (we used a spare scaffold board) line up the planks with the long edges together. 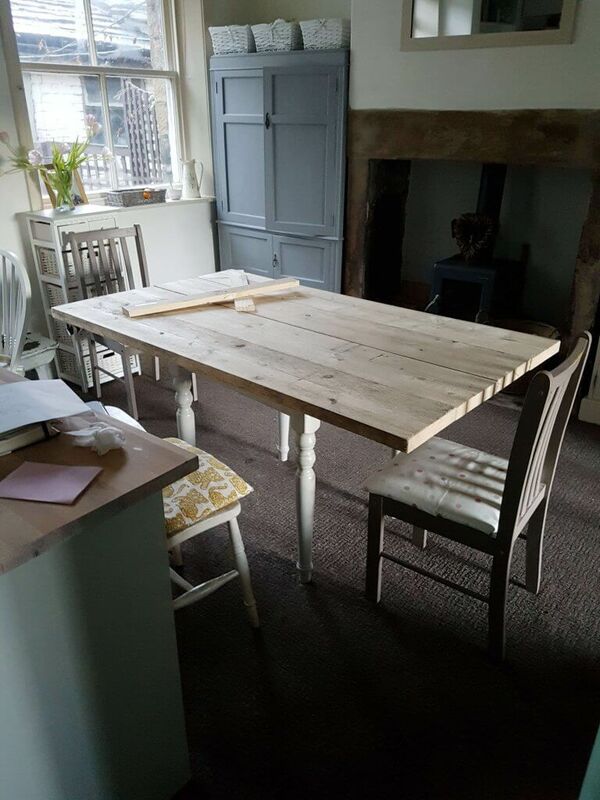 We used two off cuts of wood to fasten the planks together to form the table top using screws. 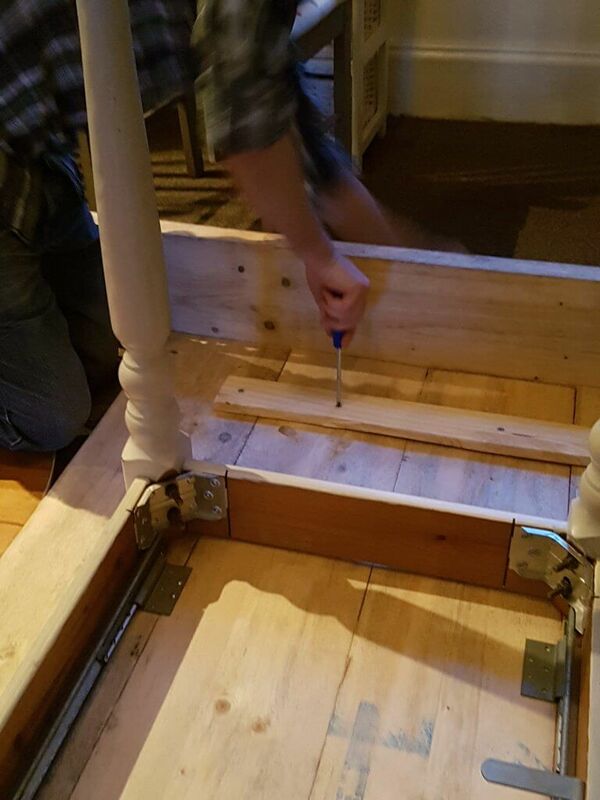 We then attached the old table legs to the bottom using screws. We also bought some L-shaped brackets from Wilko of all places to add a bit of extra strength. We then flipped the whole thing the right way up and sanded it. I used furniture wax to seal and protect the wood. I can’t decide whether to stain it any darker, so the wax will do for now. I get so many comments on our table now, and as I bought too many scaffold planks we also made a bench (post to follow).